This post is part of our Fair Is Not Always Equal blog series. Stay tuned for more posts in the series! When I put out the call for UDL and inclusion success stories a few months ago, I never dreamed we’d get such a passionate response from the online community. So many of you have taken the time to craft your experiences into stories that all of us can learn from, and it is capital-A AWESOME. Thank you so much, and please keep the wonderful stories coming! 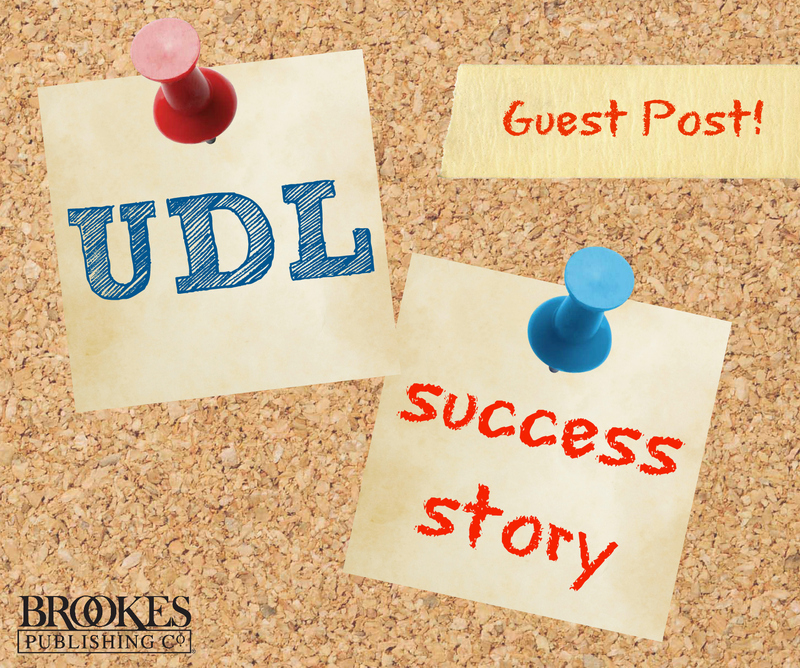 Today I’m honored to present an excellent guest post by UDL facilitator Joni Degner. Here, she tells the compelling story of how her experience with one student, Jacob, helped open her eyes to the power and potential of UDL. As a secondary English teacher, I had been told over and over again, “You can’t save “˜em all.” I never really wanted to save anyone, but I hated the shame that came with a student walking out on the last day of class the same kid who walked in the first day–you know, the one who is completely unaffected by your presence and the experience of being in your class. And yet, it happened. It happened every year. One kid, or worse, several kids, or worse yet, several kids in several classes who I didn’t reach. What could possibly be more disempowering? When my school district first started talking about UDL, I knew it was something I wanted to know more about. I had always been an early adopter, and I liked the order and flexibility of the UDL framework right away. Our teachers all received the book Universal Design for Learning in the Classroom by Anne Meyer and David Rose. We talked in passing conversation about multiple means of engagement, representation, and expression, and soon those conversations were taking place not just in the teacher workroom, but also across the table at pre- and post-evaluation conferences. Turning theory into practice is no easy task, and fundamentally re-imagining your classroom is intimidating, but one thing that this profession demands in short order is student outcomes. I had a student in one of my freshman English classes that I could never figure out. I used the term civil nuisance when I puzzled over him with my colleagues. Jacob was a nice kid, not really a great student, but a nice kid. He always came to class, and he always sat near the front. He always said good morning, and we always acknowledged one another in the hallway with a smile, but I was completely bothered by the fact that he never brought any materials to class with him. No book, no backpack, nothing except a short pencil he kept in his pocket. I was also bothered by the fact that he never turned in any work that required effort outside of class. Bothered is probably an understatement; my professional ego was initially highly offended. This was English class, after all. I had been accustomed to teaching AP courses where most of my students were hyper-prepared on most days, and strategically compliant on their worst days. Regular freshman English courses were a new experience. Jacob completed work in class and did okay, but I knew that was pure compliance. He was just doing whatever was on the agenda for class that day. He didn’t give me much output. I wasn’t reaching him, and I couldn’t begin to improve his outcome with so little output. I don’t think I’m wrong in saying that most teachers accumulate a mental list of students they never reach. Their faces become part of an ever-present tapestry of guilt and professional short-coming. I was starting to see Jacob’s face among those faces, but I knew it wasn’t too late. He was still in my class, after all. With some hesitation, I started piecing through the parts of the UDL framework I thought I could easily implement. Several teachers in my department were talking about choice boards and multiple means of expression. Late in the school year, my freshman classes read To Kill a Mockingbird. I hated the monotony of read–> discuss–> quiz–> repeat. My students did too. I needed to know they had read the assigned chapters, but after digging into the UDL book and listening to my colleagues buzzing about choice boards, I decided to give my students some options for expression. They could write a good old-fashioned summary, take a short quiz, draw a storyboard, create a postcard, or give a short book talk. Something amazing happened. Jacob chose the storyboard, and he completed it. He took the assignment home, worked on it outside of class, and brought it back completed. Not just completed. Beyond completed. As it turned out, Jacob was a very talented artist. His drawings weren’t just good, they were stunning, and they were representations of thorough understandings of events and characters from the assigned chapters. I took one look at his drawings and knew that this was a kid who had been paying attention. The problem for Jacob was that I had never asked him to tell me what he knew in a way he could tell me. Jacob’s talents were rare and would no doubt be valued in the real world, but nothing in my curriculum or instruction had ever told Jacob that his talents were valued in the academic world that we shared. It was as if until now, he was carrying a currency that wasn’t accepted in my learning environment. That’s all it took for me. One positive outcome with one seemingly impossible student. Believe it or not, that assignment changed everything between me and Jacob. Actually, it changed everything between me and every student I’d had or would have in the future. The UDL framework quickly became the currency converter for my learning environment where every student’s talent and potential was accepted and where every student could feel safe investing, leaving us all richer. Thanks to Joni for being here today and sharing this story. Can you relate to her “˜eureka’ moment? Have you had a similar UDL epiphany with a student like Jacob–or an entire class? If you have a UDL story, too, we’d love to hear it. You can Submit a Story right here, or send yours to jlillis AT brookespublishing DOT com. “Believing is Seeing”: UDL facilitator Stephanie Craig shares success factors, tips, and photos from her experience helping a fourth-grade teacher embrace the UDL framework in her classroom.